On Facebook anyone can see your profile, where you work, relationship status, your last company, about your friends, where you located etc. The Privacy feature of your Facebook account allow you to hide most of these. But if you wish to hide your Birth of date in Facebook, then there is no option in Facebook privacy setting page. 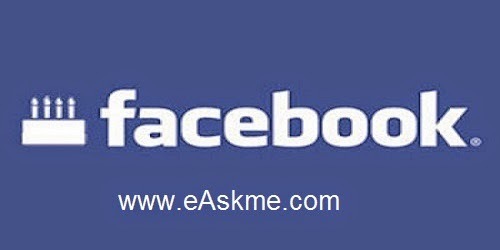 Here you will see how to hide yoru date of Birth on facebook. How to Hide Your Birth Date on Facebook ? Login with your email id or username and password. Click on "Contact and Basic info". Here you will see your date of Birth. Click on Edit in Front of Basic info. 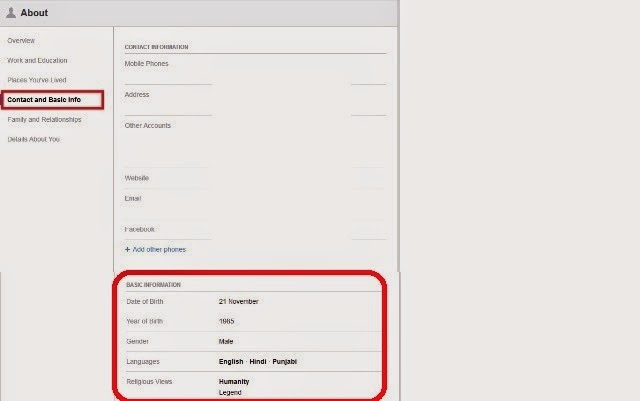 Click on the lock button to set privacy to "me only" if you do not want to show your date of birth to anyone of Facebook.